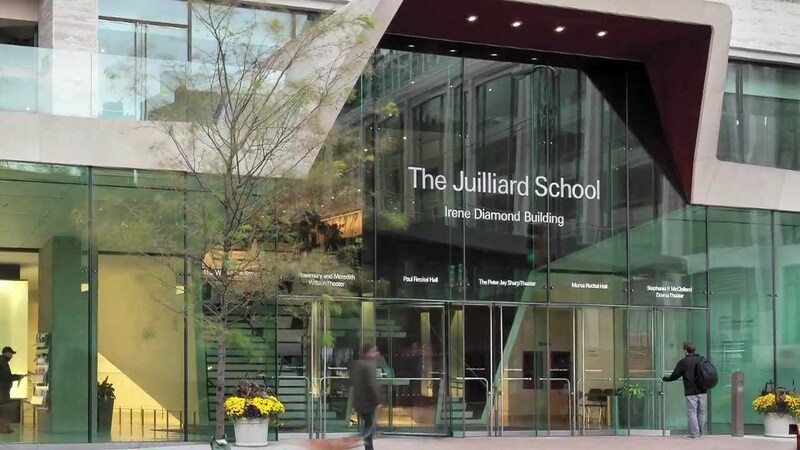 Well-known both in and out of musical spheres, the Julliard School provides a world-class educational experience for musicians. Competition is very steep, as the school only admits 7.6% of applicants. With access to top music facilities, such as Lincoln Center for the Performing Arts (literally at the school’s doorstep), students frequently perform recitals for the public. In addition to the music division, which consists of jazz studies, music technology, historical performance and vocal arts/opera, the school also offers dance and drama. Faculty members include well-known musicians and top professionals. Le Conservatoire de Paris is a world-renown school offering studies in music, dance and recording arts. Departments include early music, musicology, vocal disciplines, conducting, jazz and classical instruments. Upon graduation, students may have the opportunity for employment in the Conservatoire Graduates’ Orchestra. In order to be admitted to the school, applicants must complete an entrance examination and audition. The school offers both graduate and undergraduate degrees. The Berklee College of Music’s strength is in contemporary music, the art of music and the business of music. They offer both performance and nonperformance majors. The school was founded by Lawrence Berk, an arranger with the CBS and NBC radio orchestras, who desired a practical school that would teach contemporary music and practical career preparation for working musicians. The Cleveland Institute of Music turns out professional working musicians; according to their website, 80% of its graduates “perform with the world’s most acclaimed musical organizations, in major national and international orchestras and opera companies, as soloists and in chamber ensembles, and hold prominent teaching positions around the world.” They offer undergraduate, graduate and doctoral degrees, as well as a professional studies certificate and an Artist Diploma. The Curtis Institute of Music is one of the world’s most famous conservatories. Its student body is small, with only approximately 165 students studying a year. Every student admitted to the conservatory is given a full-tuition scholarship. Students are immersed in performance opportunities, allowing them to develop as world-class artists and performers. The Jacobs School of Music is a college within Indiana University. It’s Opera Theater is the only university opera that has ever been invited to perform at the Metropolitan Opera in New York City. Every year, approximately 1,600 students study in a conservatory-like setting that also offers the academic offerings of a top-notch university. The school holds more than 1,100 performances a year, including seven fully-staged operas. The Manhattan School of Music has approximately 275 faculty members to teach 800 students a year. It’s setting in New York City allows students to be immersed in an environment of high-caliber performances. With over 400 concerts, recitals and master classes a year, students have many performance opportunities to develop as working musicians. They offer undergraduate, graduate and doctoral degrees and diplomas. Trinity Laban Conservatoire of Music and Dance is a music and dance school based in London, England. It was formed in 2005 as a merger of two older institutions – Trinity College of Music and Laban Dance Centre. Today the Conservatoire has around 1,000 undergraduate and postgraduate students based at two campuses in Greenwich and Deptford in London.Trinity College of Music was founded in central London in 1872 by The Rev’d. Henry George Bonavia Hunt to improve the teaching of church music. The College began as the Church Choral Society, whose diverse activities included choral singing classes and teaching instruction in church music. Gladstone was an early supporter during these years. A year later, in 1873, the college became the College of Church Music, London. In 1876 the college was incorporated as the Trinity College London. Initially, only male students could attend and they had to be members of the Church of England. The Royal College of Music is a conservatoire established by royal charter in 1882, located in South Kensington, London, England. The college regularly ranks as one of the world’s leading conservatoires. The college’s buildings are on Prince Consort Road, next to Imperial College, directly opposite the Royal Albert Hall, near the Royal College of Art and five minutes’ walk from the Science, Natural History and Victoria and Albert museums.The college teaches all aspects of Western classical music from undergraduate to doctoral level. There is a junior department, where 300 children aged 8 to 18 are educated on Saturdays.